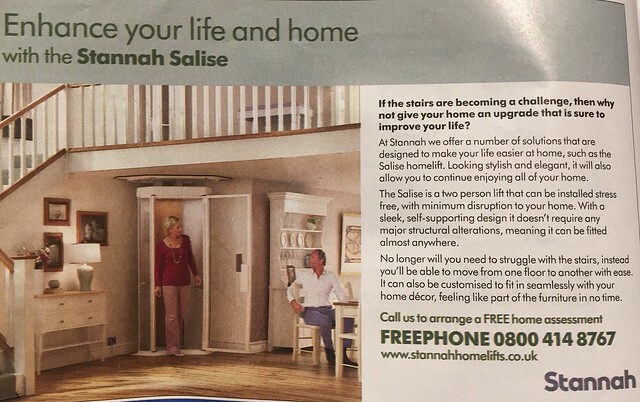 clue - not a shower-in-the-hall - no, it's an advert for a 21st Century stairlift ! Oi. You can't park your Tardis there! You might want to give it five minutes. He: "You're not my wife!" She: "This isn't my house!" Both: "This is the third time this week that our Sirius Cybernetics TransMat 2000 teleporters have needed recalibrating." "Darling, it fits well in this corner down here but upstairs I keep walking into the en-suite shower by mistake. 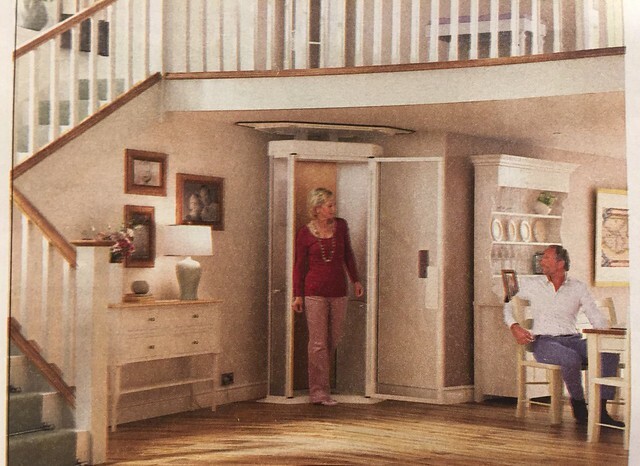 Could we move the upstairs part of the lift to the far end of the landing, please?" "I'm ready to take on Donald again" said Hillary, stepping out of the rejuvenator. "This is the shittest Hunger Games arena yet"
"You might have told me you had beans and cabbage for lunch before I tried it."